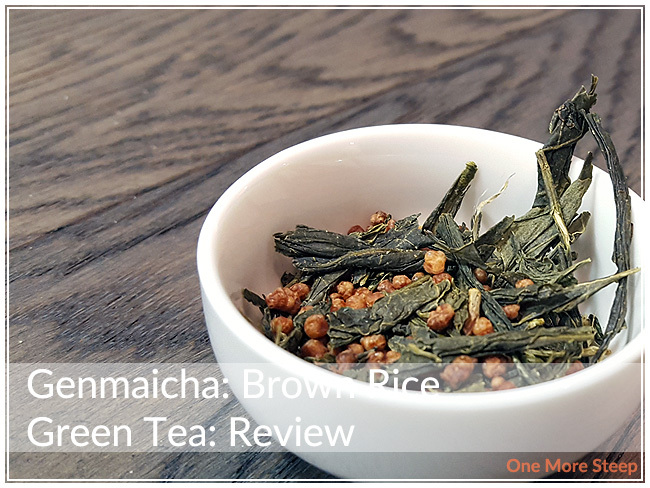 Yunomi has provided me with Genmaicha: Brown Rice Green Tea for the purposes of providing an honest review. Genmaicha: Brown Rice Green Tea came to me in a kraft paper sealed pouch lined with foil – not resealable, unfortunately. 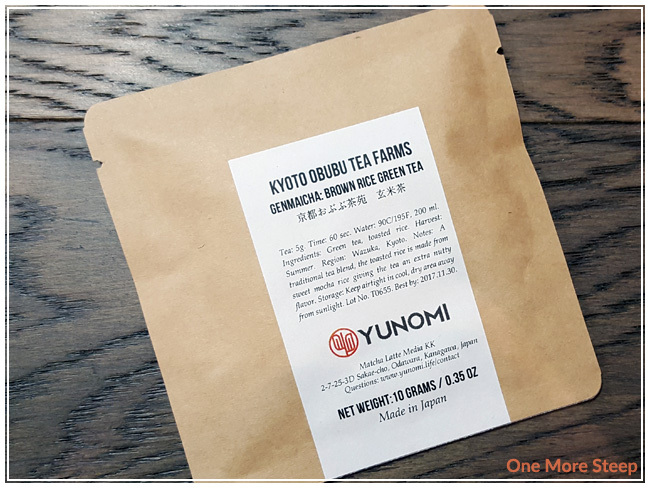 This particular Genmaicha comes from Kyoto Obubu Tea Farms in Wazuka, Kyoto, Japan. You can clearly see all of the ingredients in this tea – from the flattened, long green tea leaves, to the tiny puffs of rice mixed in. 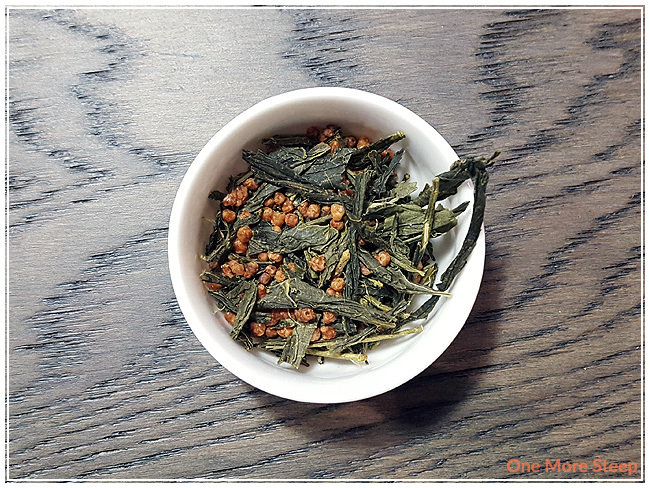 Genmaicha: Brown Rice Green Tea consists of green tea and toasted brown rice. The aroma from this tea is primarily that of cut grass (from the green tea) and wheat (from the toasted brown rice), but it’s quite mild and subtle. The label on the packaging says that the rice is sweet mocha rice, which I am unfamiliar with. Yunomi suggest steeping this green tea blend at 90°C (195°F) for 60 seconds, I followed the steeping instructions for the initial steep. 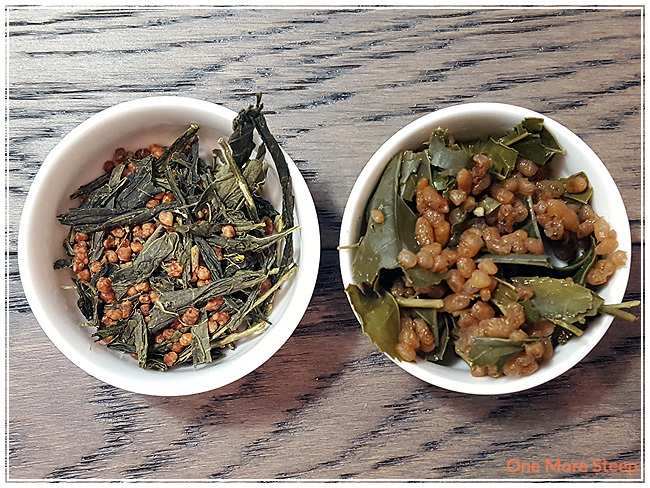 Genmaicha: Brown Rice Green Tea steeps to a pale yellow with a very vibrant aroma that I wasn’t quite expecting, considering how subtle it was in the dry leaf. The aroma is mostly that of cut grass and then there’s the nutty aroma that comes from the brown rice. When I sip the tea, I’m surprised by the sweetness that is present. It’s not overwhelmingly or cloyingly sweet, it’s just enough to make the sweetness known, and mingles well with the nuttiness and the grassy flavours. It’s quite the good balance between the flavours in this blend. I resteeped Genmaicha: Brown Rice Green Tea three times, I added an extra 30 seconds per subsequent steep. 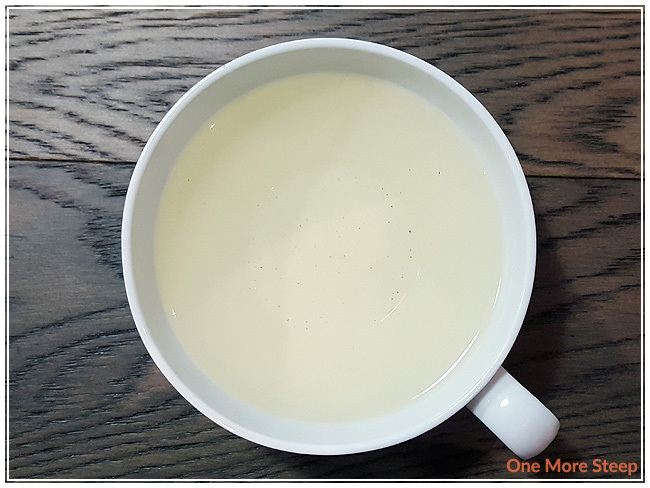 The tea steeped to a more golden yellow with each steep, and the flavours got deeper in the first resteep with the same balance as the first steep, just stronger. By the third resteep (fourth steep overall), I found the flavours were be almost lacking, as it was getting to be watered down. I think two or three resteeps would do most people just fine in terms of flavour intensity. I loved Yunomi’s Genmaicha: Brown Rice Green Tea. This green tea blend just has a beautiful balance of flavours – from grassy to nutty to sweet. It resteeps well, and has a lovely aroma and flavour. I really enjoyed steeping this tea and drinking it – and the price isn’t anything to sneeze at either, as it’s pretty affordable considering the number of resteeps that you can get from these leaves.